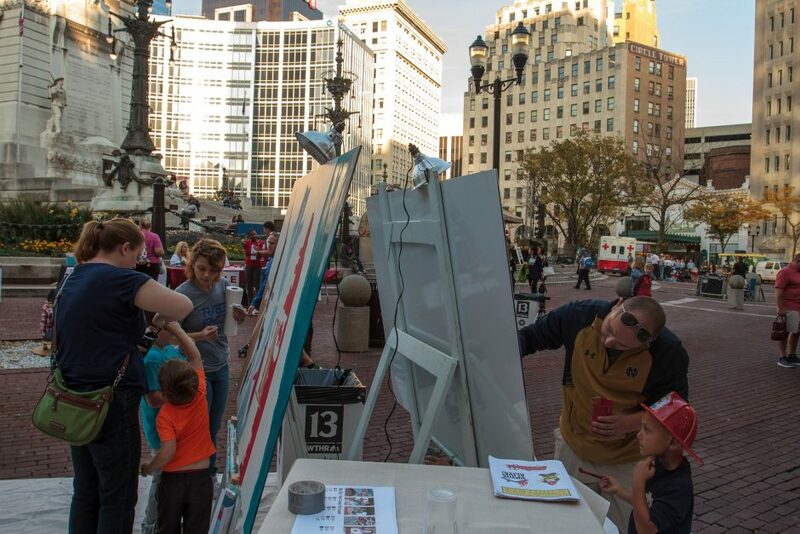 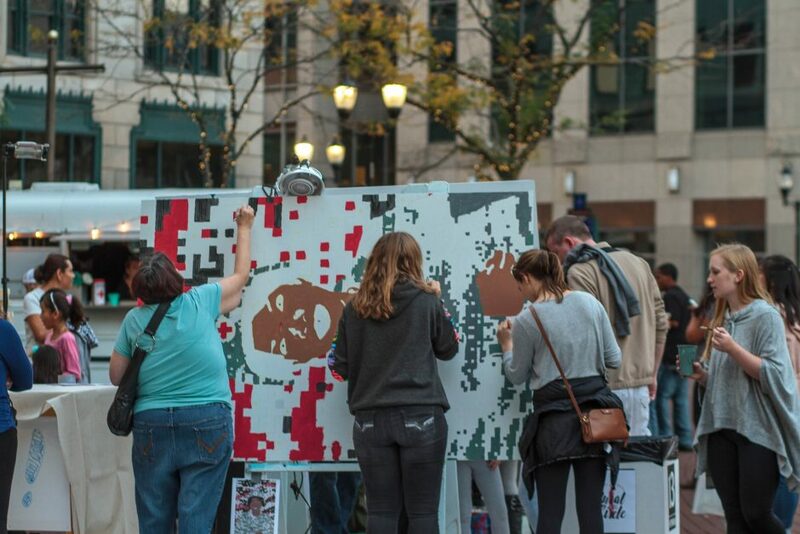 With support from Southwest Airlines and Project for Public Spaces Heart of the Community program, Big Car Collaborative helped Red Cross celebrate 100 years of service in Indiana on October 14, 2016 in Monument Circle. 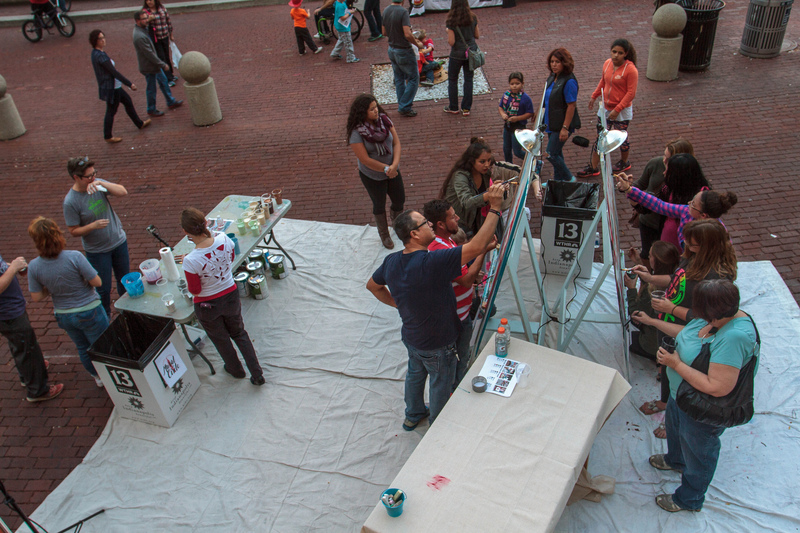 The community wide celebration lasted all evening and included food trucks, live music and community art. 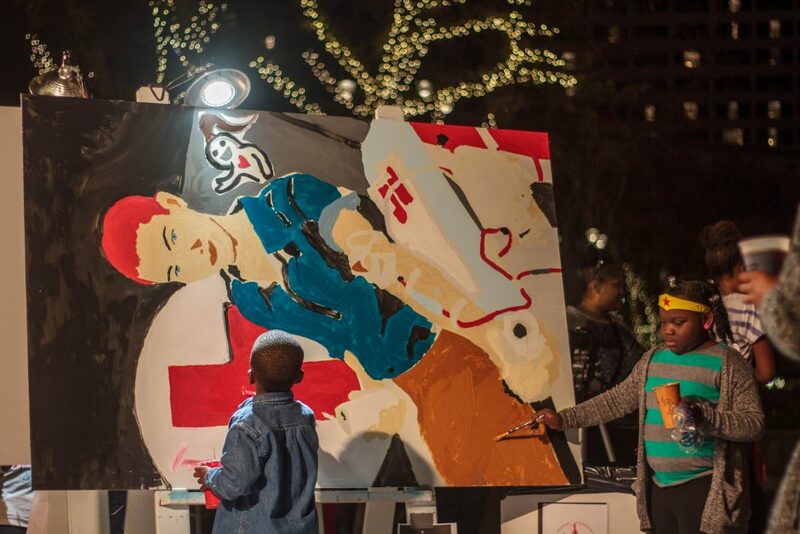 This came in the form of a series of small murals designed by Big Car to show the history of Red Cross. 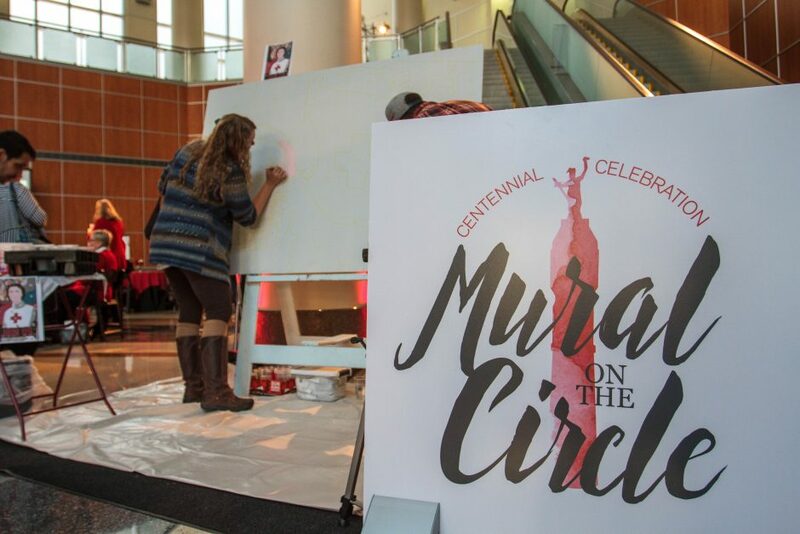 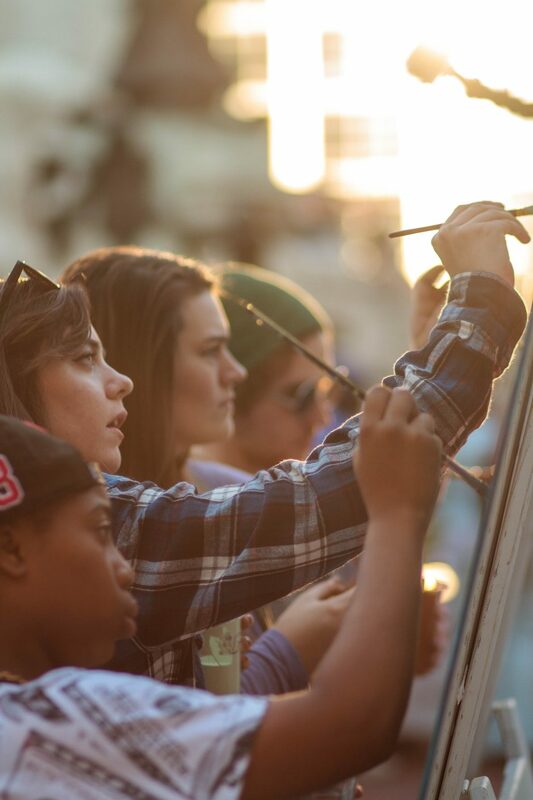 The murals were outlined by Big Car artists and completed paint by numbers style throughout the celebration by members of the community. 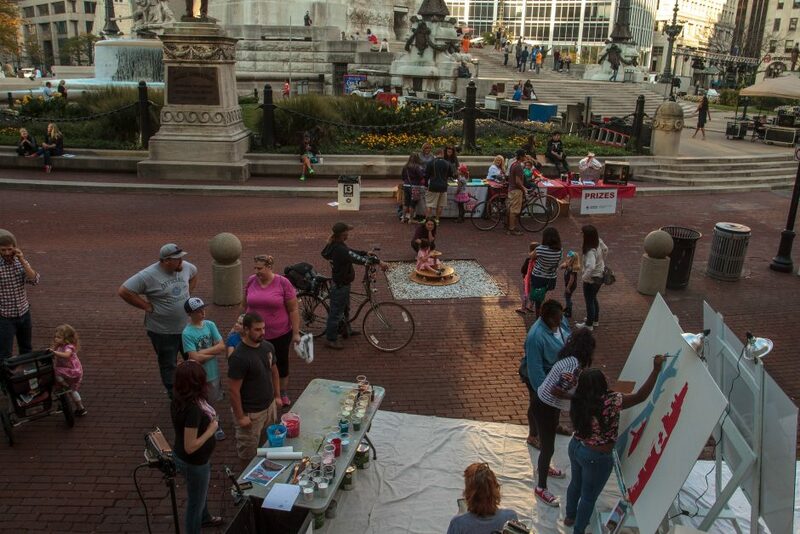 Big Car also provided the public with opportunities to engage with art and each other through Wagon of Wonders, which allowed community members to interact with and make art, as well as games (ping pong, chess, Foosball and giant Jenga) scattered throughout Monument Circle to make a place families spent the whole evening. 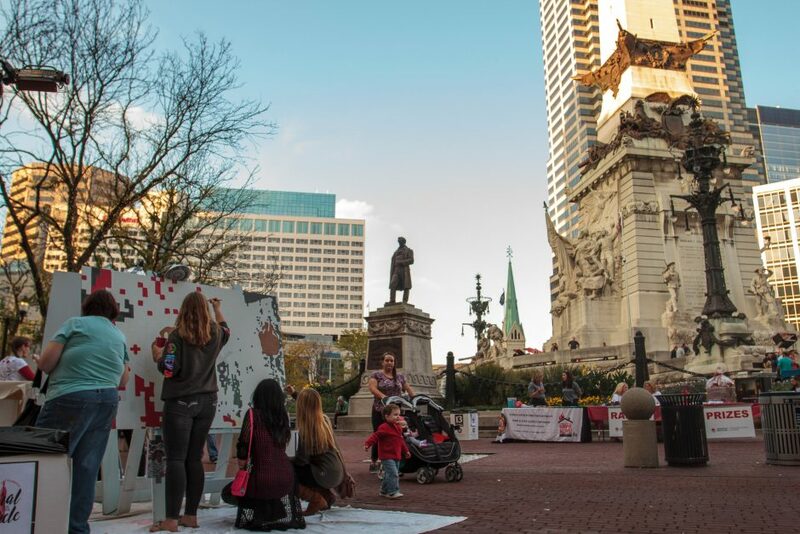 See more pictures from this event here.